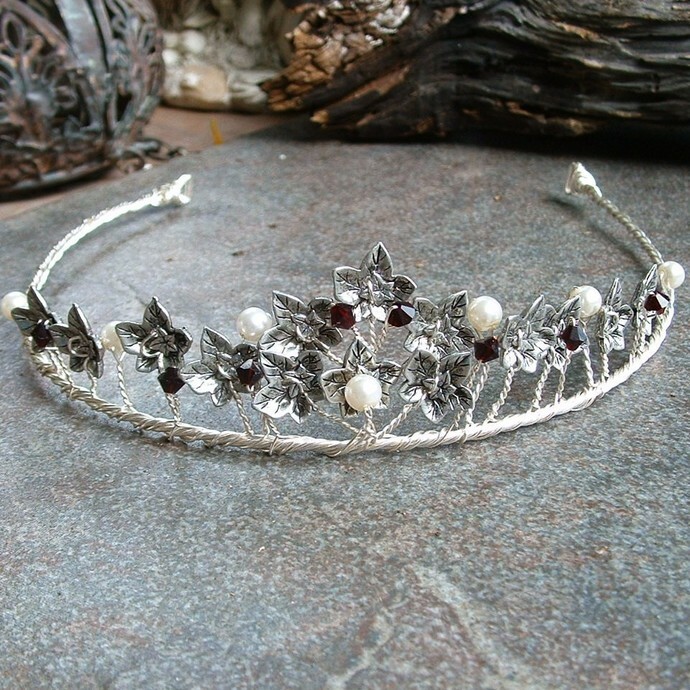 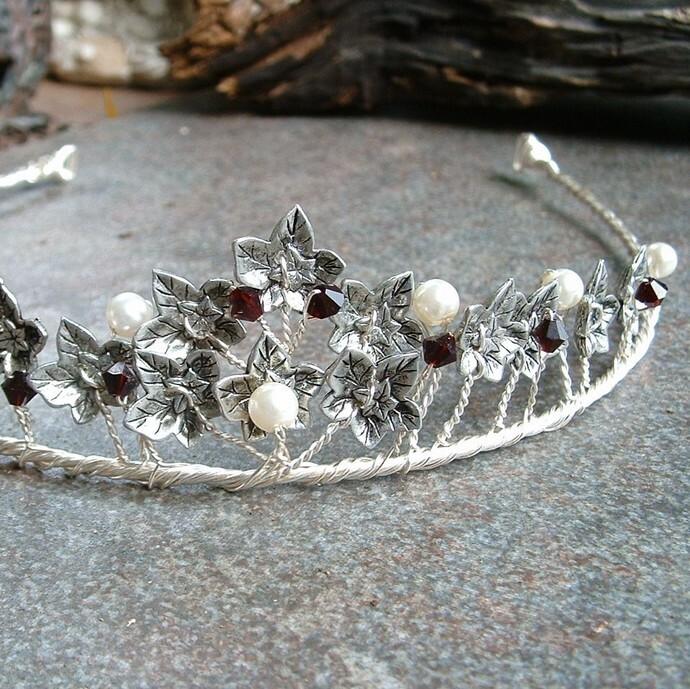 Bridal tiara combines silver or gold colored ivy leaves with garnet Swarovski crystals and white pearls. 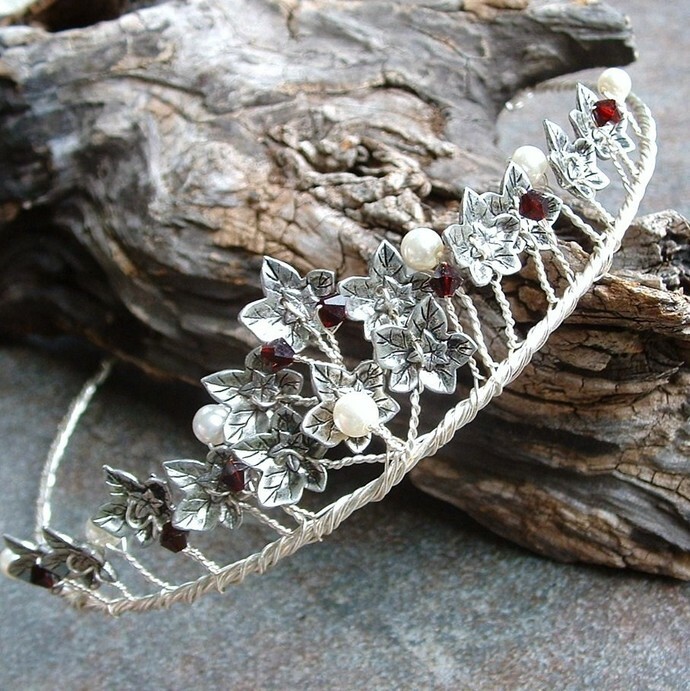 This piece is open at the back and can be pinned into virtually any size or shape of hairdo, there are also loops on either end to attach ribbons or even a veil if so desired- it is a very versatile piece. 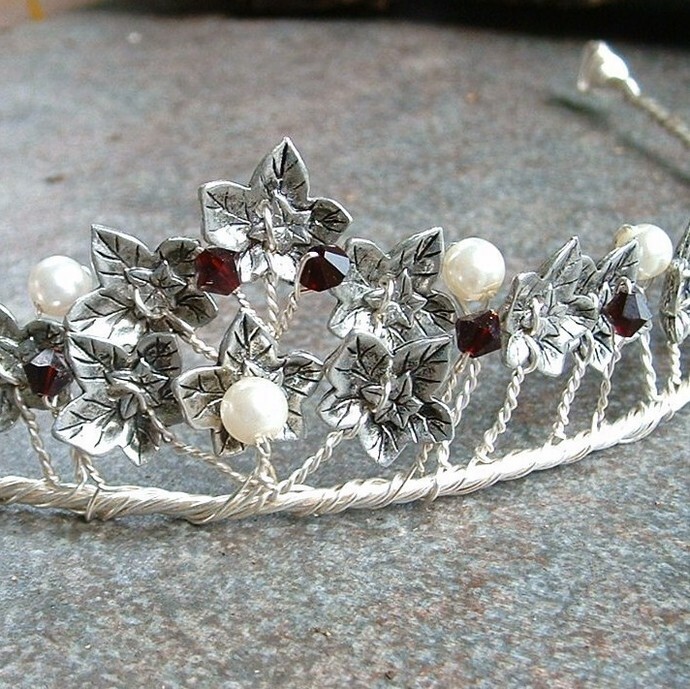 Our wire is nickel free and has a non-tarnish coat that makes it easy to wear even for allergy sufferers.